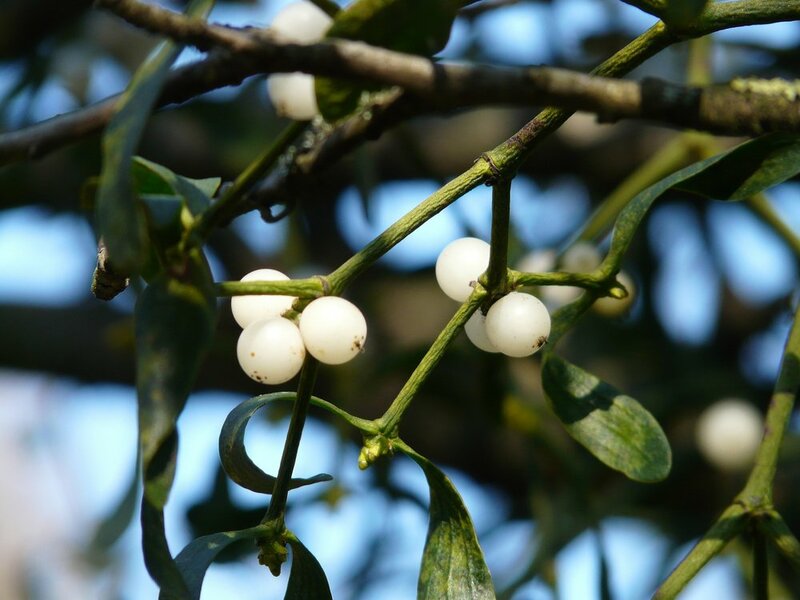 "Mistletoe Berries, Mistletoe, Green" by Hans Braxmeier is Public Domain. Wow, how did that happen? Is it really December? And how’s that list of resolutions you began the year with? If you still have work to do, and you need a little inspiration, look no further than this month’s list of free webinars. Sometimes a well-spent hour with online experts can help you get traction on your goals, or even get you through that New Year’s finish line with a sense of accomplishment. Check out these December offerings—we hope they will inspire and motivate you to wrap up the year on a high note! The industrial revolution and the labour-intensive economy it spawned have been replaced by a mind-intensive knowledge economy that’s driven by technology, automation, artificial intelligence (AI), and globalization. It’s become abundantly clear that an entirely new approach to organizing, operating, managing and learning in the knowledge economy is needed. The distinct differences between the management models created to “manage hands" in the 20th-century business models and the models emerging to successfully “manage minds” in the 21st century. Why supporting continuous learning, open communication, and “anytime, anywhere” collaboration is critical. Some of the most successful technology and practices you can use today to start managing minds. Modern learners are demanding a new approach to blended learning design—an approach that supports formal learning while allowing them to create their own personal learning paths. Instead of creating courses, successful talent development teams will create learning hubs populated with blended learning campaigns. Blended learning campaigns support learner experiences through time-released lessons supported by cohesive content and live events. The best part? Blended learning campaign content isn’t single-use: resources continue to be relevant to learners and their ongoing skill building after the formal campaign ends, during every moment of learning need. Define learning hubs, learning campaigns, and personalized learning paths, and explain the relationship between them. Articulate how learning campaigns address all moments of learning need, not just formal instruction. Identify what resources, activities, and lessons should be included in a learning campaign. Design formal learning campaigns and personalized learning paths by arranging, and rearranging, resources. Create an environment for perpetual learning. A recent Gartner study revealed that by 2020 automation will reduce employee requirements in business shared-service centres by 65 per cent. According to analysis from Conduent, Learning Administrations’ certification process was identified as one of the best initial candidates for robotic process automation (RPA) at Conduent. Automating all or some of the steps of manual rule-based processes helps L&D teams handle big volumes without adding manpower, saves costs versus predominantly manual processes, and simplifies the ability to meet performance targets. Join David Wentworth, Principal Learning Analyst with Brandon Hall Group, and Barbara Farley, Senior Director Global Competency Center at Conduent, as they explore the future of robotic process automation and its impact on learning and development. The definition of robotic process automation. Process automation in the future. What happens when 63 per cent of CEOs worry that their employees lack skills needed to stay competitive and 66 per cent of millennials worry that their skills aren’t being developed effectively enough to stay with their current employer? You get a fairly significant skills gap. How to provide context for learning. Tips to encourage employees to “invest” in their professional development. Approaches to building effective credential programs that focus on validated skills. Video has the power to make content easier for people to understand and more engaging for them to experience. In the past, this medium was often cost-prohibitive, but advances in hardware and software have now made video an affordable option for any L&D team. Now the bigger challenge of incorporating video isn't the cost—it's using this medium effectively. The Using Video for Learning Spotlight will help you learn more about the strategies and processes you can use to create videos efficiently and ensure they make the right impact on your audience. You'll take a closer look at proven techniques for designing and developing high-quality videos, as well as how you can make your creations effective for learning. Join sports leadership and emotional intelligence coach Scott Cvetkovski for an interactive and lively discussion on the impact of emotional intelligence on athletes, coaches, and the leaders on an athletic team—and how it can impact your own team. What emotional intelligence subscales propel and hinder an athlete’s success. How to use emotional intelligence as a coach to help your team win. How to be an EQ Leader on your athletic team—or any team. How to use the EQ-i 2.0 to develop your team. Providing online, in-classroom, and blended training options can be a huge logistical nightmare for a company with a lean operating team to manage. If just getting by is your modus operandi, it’s hard to imagine growing your business or increasing profits. It can be done (and the answer is simple). Hear how ProTrain, a global leader in educational services that places innovative technologies within reach, switched to Moodle LMS and Zoola™ Analytics to streamline and scale their business beyond what they ever previously thought possible. What to consider to drive repeatable success with your online learning projects. Lessons learned—the good and the bad—so you don’t find out the hard way. How the flexibility of open source allows for constant enhancement of the learning experience. The critical difference having access to your data and the ability to analyze that data makes. Over 50 per cent of Fortune 500 companies from the year 2000 do not exist anymore. Why? They didn’t innovate and adapt their business models and operations to an ever-changing business world. Now more than ever, organizations have to navigate a world that is more Volatile, more Uncertain, more Complex and more Ambiguous (VUCA). This new environment is challenging the ways companies train and develop employees to achieve sustained success. How do you best build, adapt, and deploy sustainable training and development programs when the world is getting more disruptive? While the VUCA acronym has merit for describing a world that is no longer business as usual—for those who have to work in this environment, particularly L&D professionals, this is a concept that needs much more clarity. Join David Wentworth, Principal Learning Analyst with Brandon Hall Group, and Steve Thompson, Director Business Development, EMEA with Raytheon Professional Services, as they discuss the current business environment and what it means for L&D leaders. The changing role of L&D. Who should attend: Chief Learning Officers (CLOs), VPs of Training, Training Directors and Managers, Human Resources VPs and Directors, CEOs, and COOs. “Design Thinking” is permeating many aspects of organizational life—including how the U.S. federal government is engaging its employees. Global Head of Duke CE Labs Tony O’Driscoll will show how Design Thinking can be applied to design work, just has it has been used to design products and services. Discover some basic tenets of design thinking and a process to innovate and implement in a lean and experiential way. Then, find out how Sydney Heimbrock is leading the charge to build an innovative public-sector workforce, helping create a workplace in the U.S. government that unlocks creativity to solve complex problems. Learn how her work leading the Innovation Lab at the US Office of Personnel Management is teaching federal leaders and professionals to apply human-centred design. Discover a mindset that can help learning leaders better innovate the way they design, develop and deliver training. Learn what is required to future-proof your workplace. Explore how high-performance teams are reshaping leadership, learning and development. This webinar showcases themes from Training magazine’s recent Innovations in Training event, as well as previews topics that are part of the Duke CE Leadership Experience, which is hosted at Ernst & Young’s Atlanta Headquarters on February 12, 2018, as part of the Training 2018 Conference & Expo. Find answers to all the hottest HCM topics during this live interview of Michael Rochelle, Chief Strategy Officer and Principal HCM Analyst at Brandon Hall Group, as he takes a round-robin approach to demystify the HCM landscape. Acknowledged as an industry thought leader and subject matter expert in the field of HCM, Michael has over thirty years’ experience in helping organizations achieve breakthrough performance in people, process and technology. In addition to the interview you will be able to ask your questions on each of the four topics. Learning – when is the best time to use micro-learning? Talent – how to drive team development. TA – leveraging prescriptive analytics to improve hiring. WFM/HR – what big data is and what it isn’t. You are ready to do something new. Really new. But what will you do? How will you navigate a job change? A career pivot? In this webcast, Whitney Johnson will illustrate a seven-point framework she codified in the critically acclaimed book Disrupt Yourself. As president and co-founder of the Disruptive Innovation Fund with Harvard's Clayton Christensen, Whitney used disruptive innovation in investing. This webcast will show you how to make disruptive innovation meaningful to you, by applying it to your career development. You will also have access to a proprietary diagnostic that will indicate whether it is, in fact, time to disrupt yourself. Learn about the seven-point disruption framework. Understand how you can apply the framework to your personal career path. Identify if it is time to disrupt yourself. Join us for this fascinating look at disruption on a personal level. There is so much buzz around microlearning, it’s almost like “fake news.” This presents a huge risk and danger when microlearning appears to be an answer to all the problems when it is not. But how does one differentiate microlearning from other methods? Where does microlearning work best? When is it least effective? What are the telltale signs that microlearning is misconstrued as a canned solution? When does microlearning become “snake oil”? Where do you find genuine proof that microlearning works? What is the fundamental difference between microlearning and other learning methods? What yardstick do we use to quickly determine if the problem can really be solved through microlearning? Where does microlearning work best and where could it likely fail? What conditions allow microlearning to flourish? In this volatile, uncertain, complex, and ambiguous world, is career planning a thing of the past? With skill requirements changing so frequently, how can anyone stay current? What can you do to stay marketable? Assess your VIPS (values, interests, personality, and skills). Think ahead to future-proof your career. Join Sue Kaiden, Manager of ATD's Career Development community and career coach, for a conversation about managing and thriving in your career despite uncertainty and ever-changing expectations. Be sure to submit a question for Sue when you register for this interactive webcast. A “brilliant jerk” is a team member who does an exceptional job delivering competency-based results, but isn't able to get along well with others. These brilliant jerks permeate the workplace while reducing their leaders’ credibility, lowering their teams’ morale, and reducing their teams’ productivity. This webcast covers how to identify brilliant jerks, intentionally coach them toward becoming high-impact team players, and eliminate their negative effects. Recognize the common character traits of brilliant jerks. Identify and address the negative impact of brilliant jerks. Understand what is required to transform brilliant jerks into high-impact team members. Business simulations offer organizations a unique opportunity to address hard skills gaps with experiential learning activities; however, many organizations miss out on the tremendous soft-skill development that is embedded in well-designed business simulations. An overview of business simulations as an experiential learning opportunity. Examples of hard-skill and soft-skill development unique to simulation exercises. How to embed your organization's competencies and development programs into simulation exercises for maximum results. Congratulations! You’ve developed the greatest training program ever. The content is ideally suited to your business problems, the technology works, and the employees seem to like it. There’s only one problem … nobody knows what to do with it when they return to their jobs. If that’s not a nightmare scenario, we don’t know what is for a training professional! Ultimately, we need our employees to learn, retain, and then apply what they learn to improve their knowledge and skills to reach higher levels of performance. That’s the goal. But how many times do we fail to see the ROI we expect? How many times do we see really well-done content NOT applied on the job? How many times do we have to go back to the CFO and explain why the ROI we expected never materialized? Your host, Erin Boettge, Marketing Content Manager at BizLibary, will help you discover how and when employees apply learning to improve their job performance, explain the role managers play in helping employees retain training and drive ROI, and help you understand how micro-learning can be a great tool to help employees in their moment of need. How to help employees apply their learning and improve job performance. A manager’s role in employee retention and training ROI. How micro-learning is a great tool for helping employees acquire skills just when they need them. Government agencies operate in an increasingly fast-paced, complex, and interconnected world. Building a workforce dynamic enough to anticipate and respond to the constraints and challenges of this environment requires more than the outmoded behavioural solutions of the past. It requires a change in the underlying mindset that drives behaviour. Future-proofing your organization happens through a fundamental shift from the self-focus of an inward mindset to the impact-focus of an outward mindset. Frameworks to deepen self-awareness and identify an inward, self-focused mindset. Tools to shift, and help others shift, to an outward mindset and implement outward practices in day-to-day work. An approach to work that sparks innovation in delivering impact to customers, managers, co-workers, and reports. Wednesday, December 13, 2017, 9AM – 10AM PT: Performance Consulting: What Is It and Why Do It? Each year learning and HR solutions are implemented with minimal performance change or impact. This is because performance change requires the active involvement of management and the implementation of multiple solutions—single solutions rarely result in change. Performance consulting is a process designed to achieve business results by maximizing the performance of people and organizations. But what do people actually do who work as performance consultants? How is this different from more traditional approaches? And what benefits occur to the learning function and to the organization because people use this process? In this webinar, Dana Robinson and Chris Adams will answer these questions, clarifying key concepts and skills associated with performance consulting. Wednesday, December 13, 2017, 12PM – 1PM PT: AR/VR Is the New Reality—Or Is It? The latest technology that has taken off with consumers and will grow exponentially is Augmented Reality (AR). Even though it's different, Virtual Reality (VR) is often tied in with AR. This technology has started filtering into training by early adopters, but you can be sure that there will be pressure for you to use this technology soon. When new technology is introduced, there's often a lot of hype that comes with it. This webinar will examine some of the hype and mistakes that are currently being made so you can avoid making them. It will look at the difference between AR and VR. It will also look at effective methods of using this technology in your training. At the end of this webinar, there will be a demonstration on how you can create your own AR movies using free software tools. There's no programming required. Many, perhaps most employees today, are strongly resistant to training. They will come up with virtually any excuse to avoid formal training experiences, and completion rates on compliance training and other learning materials continue to fall. How can a little underhanded action help turn the tides? Join Dr. Allen Partridge for this enlightening session on the merits of stealth in delivering educational experiences that matter to people in your organization. He will introduce you to some unexpected new approaches and technologies that can motivate your trainees to engage with training in delightful and powerful ways. Join Brandon Hall Group executives as they announce the winners of the coveted 2017 Technology Excellence Awards in a live web event! Learn the winners of the prestigious Excellence in Technology awards. Brandon Hall Group presenters will be Chief Operating Officer Rachel Cooke, the head of the awards program; Chief Executive Officer Mike Cooke, and Vice President/Research Operations and HCM Principal Analyst Claude Werder. Part of the Reinvented Classroom—Masters Series Webinar. This Welcome Keynote is open to all TMN members. You are registering for the Keynote session only to the Masters Series. Click here for more information on The Reinvented Classroom Masters webinar and how to access all eight sessions of the live full-day event, recordings and resources. The State of the Industry report is ATD’s definitive review of training and development trends. In this webcast, Maria Ho, senior manager of ATD Research, will discuss learning benchmarking data from ATD’s 2017 State of the Industry report. The average number of training hours used by employees. What methods of training companies are using. Whether companies are using on-the-job learning. Note: The State of the Industry will be available in early December at www.td.org/SOIR2017. However, you do not need to have read the report to follow and benefit from the webcast. Adding animations and effects to your eLearning courses can make your courses more engaging and interactive. Adobe Captivate 2017 can help you create subtle animations and digital effects. Join Dr. Pooja Jaisingh to learn how to leverage this functionality to make your eLearning courses stand out. During this session, you will learn how to add externally created animations, and create native animations using the different types of effects available in Captivate. Along the way, she will share some tips and tricks to make the most of effects, and show example animations created using Captivate. Fewer than half of companies say their L&D strategy is effective in helping them achieve their business goals. Business goals are essentially the only reason the L&D strategy should even exist! Organizations need to rethink their learning strategy to help achieve business outcomes in the face of shifting priorities, new technologies and new modalities. Join David Wentworth, Principal Learning Analyst with Brandon Hall Group, and Litmos, as they review the results of Brandon Hall Group’s Learning Strategy Survey. The session will look at the practices of those organizations with highly effective learning strategies and how they use learning to impact the business. Formal, informal, and experiential learning. Vivek Murthy, America’s former surgeon general, recently called on organizations to make social connections a strategic priority, because America’s loneliness epidemic is undermining health, happiness, and productivity. Leaders who develop and maintain a workplace culture infused with connection so that people feel included and supported see a marked difference in performance. Employees who feel connected to people at work are not only healthier and happier, but also more productive, more engaged, and less likely to leave their employer. This is especially important today, because connection is essential to attract, engage, and retain millennials. The types of relational cultures in organizations. Which workplace culture is life-giving, and which cultures drain the life out of people. Seven universal human needs that must be fulfilled to thrive at work. Which culture is the key to attract, engage, and retain millennial employees. 10 practices to create a workplace that may lengthen your life.